Barbaro is the Owner/Broker of Huntsman-Meade Partners in New Haven. He has been a REALTOR® since 2004 and throughout that time has been extensively involved in the real estate community on the local, state and national levels. Barbaro is currently serving as President of the Connecticut Association of Realtors (CTR) and was also named State Realtor of the Year for 2016 by CTR. 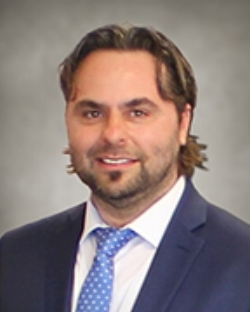 He is on the Board of Directors of CTR, New Haven Middlesex Association of Realtors and the Connecticut Multiple Listing Service. On the State level, he serves on the CTR Executive Committee and the Finance, Issues Advocacy, Legislative/Political Affairs, RPAC Trustees and Nominating Committees. Locally, he serves on the Finance, Executive, Legislative, Grassroots, Orientation and Nominating committees of NHMR. He is a Director for the National Association of Realtors and serves on NAR’s Federal Finance and Housing Policy Committee. He is a strong advocate of the rights of private property owners and has often provided testimony to the State Legislature on behalf of the State Association of Realtors, as well as meeting with State and Federal representatives on housing issues.